Ms. Tsai received her law degree from the National Taiwan University and has been practicing law in Taiwan for many years. 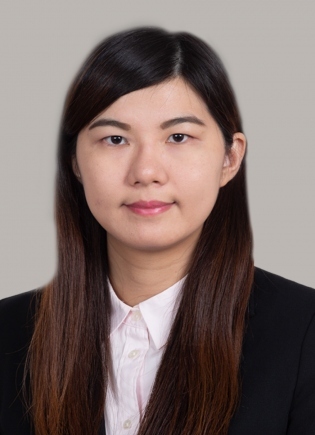 Ms. Tsai has extensive experience in employment and labor law matters. Her experience includes but is not limited to drafting employment contracts and employee handbooks to fit each employer’s special needs. Taiwan’s labor law regime is quite different from the United States, as high level executives are exempt from the standard labor code. Ms. Tsai also drafted customized engagement agreements for high level executives for employers, enabling employers to efficiently use human resources under Taiwan labor laws. She is familiar with all aspects of employment matters (such as the government’s inspection to enforce labor standards, negotiation meetings between employer and employee, and mediations) and employment litigation. Ms. Tsai also represented employees in various employment law cases against their employers who violated Taiwan labor laws. In addition to her litigation experience, Ms. Tsai also has vast transactional experience. Before joining our firm, Ms. Tsai worked as in-house counsel for a famous cosmetic corporation. She prepared and negotiated legal documents addressing all types of issues including marketing agreements, equipment procurement, and co-branding through strategic partnership with other businesses (e.g., banks and schools). Ms. Tsai also handled consumer complaints, engagement agreements for doctors, celebrity endorsement and medical advertisements, and medical malpractice disputes. Additionally, Ms. Tsai played a crucial role in a few merger and acquisition transactions of publicly listed companies in Taiwan, joint venture investment, and unfriendly contest for control over company. Ms. Tsai also assisted clients in reviewing various types of contracts, applying for trademarks, and business negotiations. She also assisted well-known artists in dealing with agency agreements, endorsement agreements, and acting contracts. With respect to civil litigation matters, in addition to employment and labor disputes, Ms. Tsai routinely handles civil cases involving torts, breach of contract, and other types of commercial disputes (such as misappropriation, fraud, and trademark infringement). She has handled several medical malpractice lawsuits, insurance disputes, and complaints filed with the Taiwan Securities and Futures Investors Protection Center. As for criminal litigation matters, Ms. Tsai routinely represents defendants in cases involving allegations of violation of banking law, trademark infringement, defamation, fraud, and breach of fiduciary duty. She also represents parties who file criminal charges. Represented several renowned Taiwan companies in cases involving tort, breach of contract, and employment dispute. Represented defendants in several criminal cases involving alleged violation of Taiwan securities law and banking law. Assisted renowned cosmetic surgery business with employment and engagement agreements as well as marketing agreements, equipment procurement agreements, and co-branding agreements through strategic partnership with other businesses (e.g., banks and schools). Handled complaints submitted by consumers. Assisted multiple renowned Taiwan companies in dealing with all types of employment matters (e.g., the government’s inspection to enforce labor standards, negotiation meetings between employer and employee, and mediations). Represented employees in filing claims against renowned Taiwan chain business for severance payments and overtime compensation.